We teamed up with local Encinitas artist/surfer Marissa Quinn to bring you a new collection this season. Our Vionic Beach x MQ sandals feature Marissa's original artwork on our best-selling Noosa flip flop. These limited-edition prints are the perfect sandals to enjoy all summer. We've infused our supportive technology into a sleek silhouette and added bright colors and fun prints to make this classic flip flop better. Bring on summer. Marissa Quinn is an artist based in Encinitas, California, who grew up with a deep connection to the ocean and marine life. She embodies an active lifestyle reflective of her Southern California coastal roots. 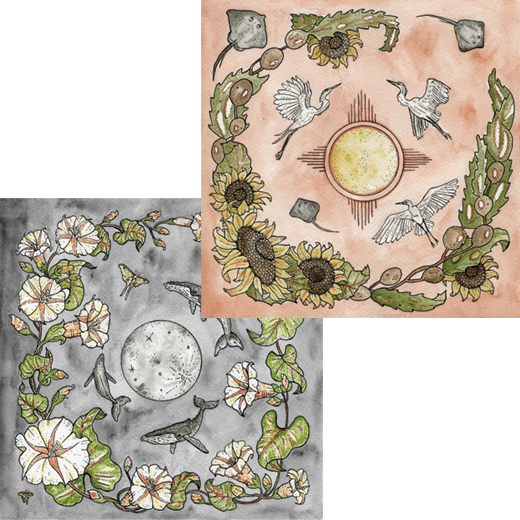 You’ll want to showcase these gorgeous sun and moon mini-prints designed by Marissa Quinn, created with a unique balance of artistry and spirituality. 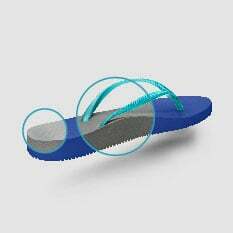 Each pair of sandals includes the corresponding print.